I honestly loved my 30 by 30 attempt. 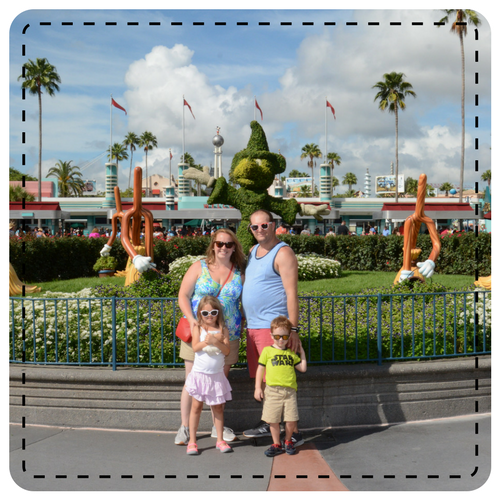 I didn't quite get all 30 but it did push me to do more things than I would have otherwise. I figured 40 by 40 was too much of a stretch...that would be 9 years and way too much can change in 9 years. 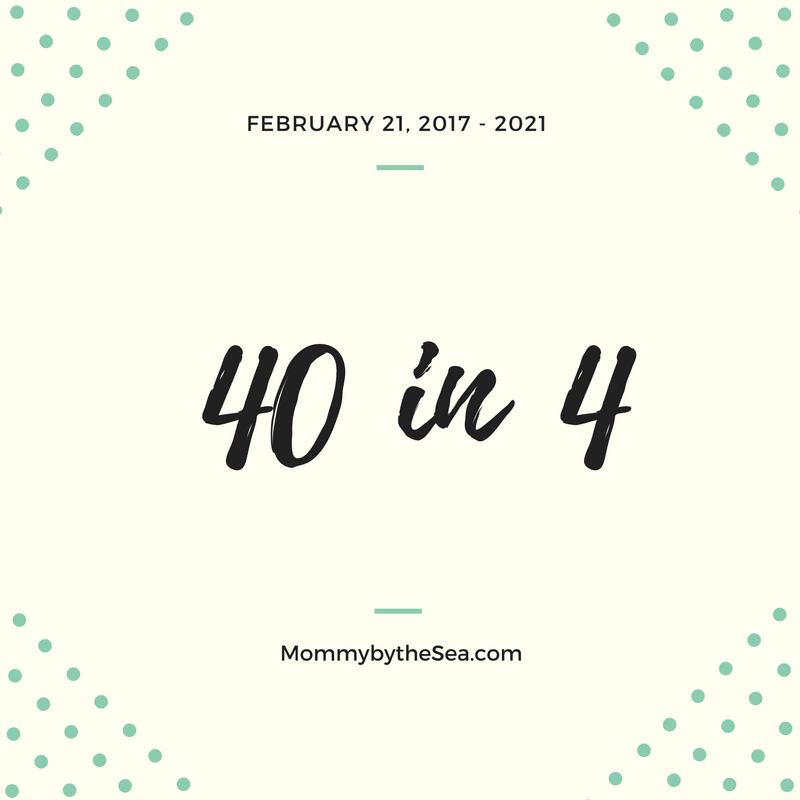 So I created the 40 in 4. 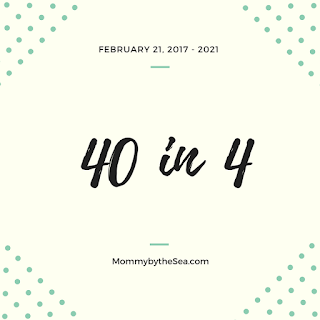 These are 40 things I'd like to do before I hit 35, in exactly 4 years. I'm excited to see what else I can accomplish in the next four years!